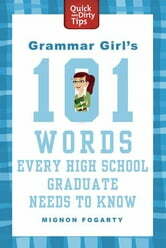 Millions of people around the world communicate better thanks to Mignon Fogarty, aka Grammar Girl, whose top-rated weekly grammar podcast has been downloaded more than 30 million times. 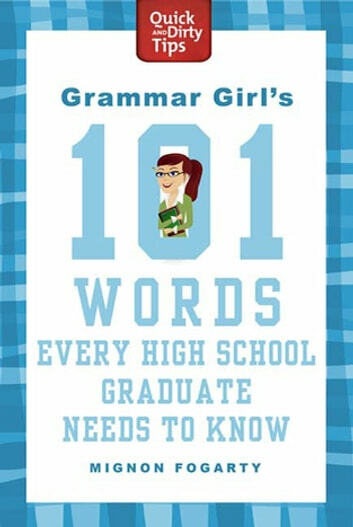 Now she's turning her attention to improving our vocabulary—one word at a time—with Grammar Girl's 101 Words Every High School Graduate Needs to Know. Not sure whether your post-high school vocabulary is up to snuff? This handy reference guide is a great starting point for ensuring you know the words that will help you impress your college professors, hold your own among your peers, write killer papers, and simply sound articulate—a skill that will benefit you for years to come.